As I mentioned in my previous blog post on Hamlet, one of the conventions of the revenge tragedy is for the hero to feign madness. Typically, doing so is the way for the hero to avoid or escape suspicion of his intentions to seek revenge on the villain. Now Shakespeare keeps this convention of the revenge tragedy; however, he makes the audience question to what extent is Hamlet putting on “antic disposition” (I.5.172) and how much are his actions signs of his true madness. When we get a chance to hear Hamlet’s first soliloquy (I.2.129-159), his thoughts turn right away to death: “O, that this too too solid flesh would melt/Thaw and resolve itself into a dew!/Or that the Everlasting had not fix’d/His canon ‘gainst self-slaughter!” Hamlet in these lines expresses his disgust with world of the flesh and longing for death. (Hard to blame him given that his mother just married his uncle within less than a month of his father’s funeral [lines 145-150].) Hamlet again opens up about his desire for suicide later in Act III, sc. 1 – his famous “To be or not to be” soliloquy: “To die: to sleep;/To more; and by a sleep to say we end/ The heart-ache and the thousand natural shocks/That flesh is heir to, ’tis a consummation/Devoutly to be wish’d.” Again, Hamlet views the world as corrupt and life as misery. Shakespeare’s audience would have recognized Hamlet as suffering a type of mental disorder, known as melancholia. Essentially, those who suffered from melancholia were lethargic and prone to thoughts of suicide. Even in Act II, sc. 2 line 613, Hamlet admits to suffering from melancholy. 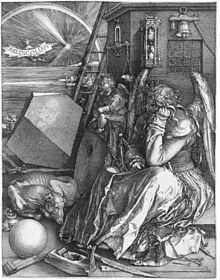 Melencolia (1514), an etching by Albrecht Druer. Hamlet claims that he will pretend to be mad, that he will act strangely so that others will not suspect his plan to seek revenge for his father’s murder. Hamlet realizes the precarious situation that he is in: his uncle, whom no one suspects as Hamlet Sr.’s murderer, has married his mother and assumed the throne. As we see throughout the play, different characters, Rosencrantz, Guildenstern, Gertrude, Ophelia, and Polonius (all people who are supposedly close to Hamlet) are sent by Claudius to trick Hamlet into revealing what is on his mind. Through his antic disposition, Hamlet is able to evade all of their attempts. This actually leads into another important theme in the play – truth through play-acting. I want to focus on two scenes in this section. 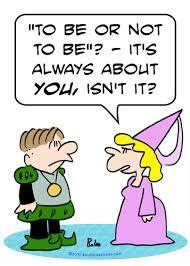 First is an often overlooked one by students – Polonius’s meeting with Reynaldo (Act II, sc. 2). 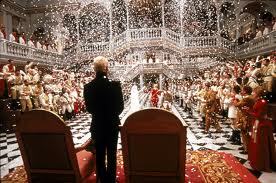 Let’s set up this scene – Polonius’s son, Laertes, has just left Denmark to return to Paris to continue his studies. Now Polonius, not being a very trusting father, is sending Reynaldo to spy on his son, to make sure that he is not leading a immoral life. Polonius advises Reynaldo to go about doing so by having Reynaldo pretend to know Laertes and imply that Laertes has a tendency towards drinking, fighting, using foul language, and frequenting prostitutes. Polonius believes that through Reynaldo’s lying about his son he will discover whether his son actually is committing indecencies that Reynaldo is falsely accusing Laertes of. Hence, Polonius’s line, “By indirections [lies] find directions [truth] out” (line 66). 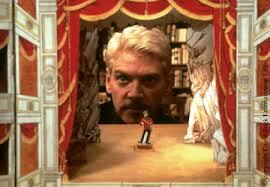 Hamlet devises a similar plan to have Claudius reveal his guilt of having murdered his father. At the end of Act II sc. 2, Hamlet comes up with the scheme to have the traveling troupe of actors perform a play that has a very similar plot to that of his father’s murder, which Hamlet calls “The Mouse Trap”. “I’ll have these players/Play something like the murder of my father/Before mine uncle: I’ll observe his looks;/I’ll tent him to the quick: if he but blench,/I know my course” (lines 606-610): Hamlet believes that when Claudius sees the murder he committed performed in front of him he will be so overcome that he will reveal his guilt. It is in Act III, sc. 2 that we get see this play-within-the play performed. But the question arises of whether Hamlet’s plan succeeds or backfires on him. Consider Claudius’ reaction to seeing the performance – he stands up and says, “Give me some light. Away!” (line 275). Hamlet interprets Claudius’ reaction as a sure sign of his guilt, and many directors have staged this scene as such with Claudius emotionally breaking down. However, there’s an alternative way of understanding this scene. All Claudius does is to ask for some light and then leaves. It could be that Claudius realizes that Hamlet knows the truth and the “light” is not so much exposing Claudius’s guilt to Hamlet but instead allowed Claudius to see Hamlet as only pretending to be mad. Below is a clip of Act 3., sc. 2 from the 1990 film adaptation of Hamlet, starring Mel Gibson. See how the director decides to interpret this scene. This entry was posted in Uncategorized and tagged Hamlet, insanity, madness, melancholy, misdirection, play, play within a play, revenge, Shakespeare, Tragedy. Bookmark the permalink.